New York-based artist Leelee Kimmel has a knack with confounding expectations: her conversations whip into wild, yet charming tangents. You half expect to hear one thing, then she jolts right into something else. Something seemingly profound becomes hilarious; a discussion of her artistic influences is rounded off with a punchline about her former parrot, Picasso, and dog named Nina Simone, who both came to tragic ends. “I personally don’t have a sense of time or space in the real world,” she reveals, then dovetailing from what feels like a weighty revelation into a joke about her crashing into sliding doors “like a mosquito on a window”. Kimmel’s world is very much her own – a heady mix of daftness and profundity – and a space that’s potentially fascinating, yet disorientating for those unfamiliar with it. 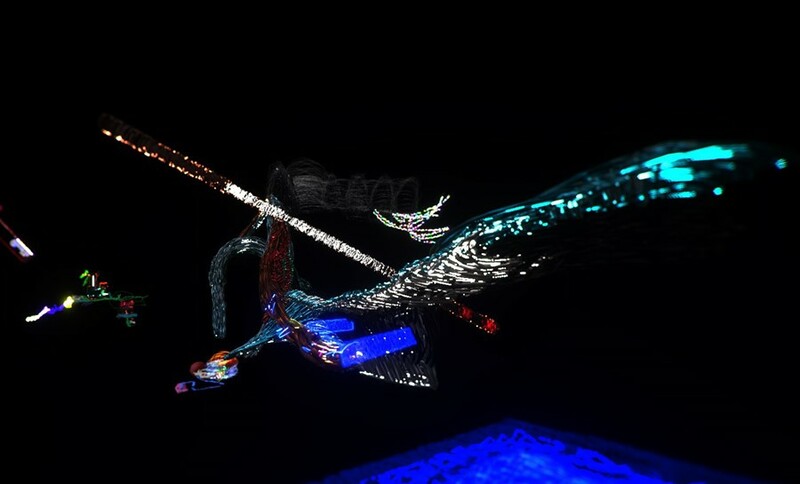 Such are the worlds she builds in her paintings, too, and which expand beyond the canvas into gloriously gelatinous sculptures and a pioneering VR piece. 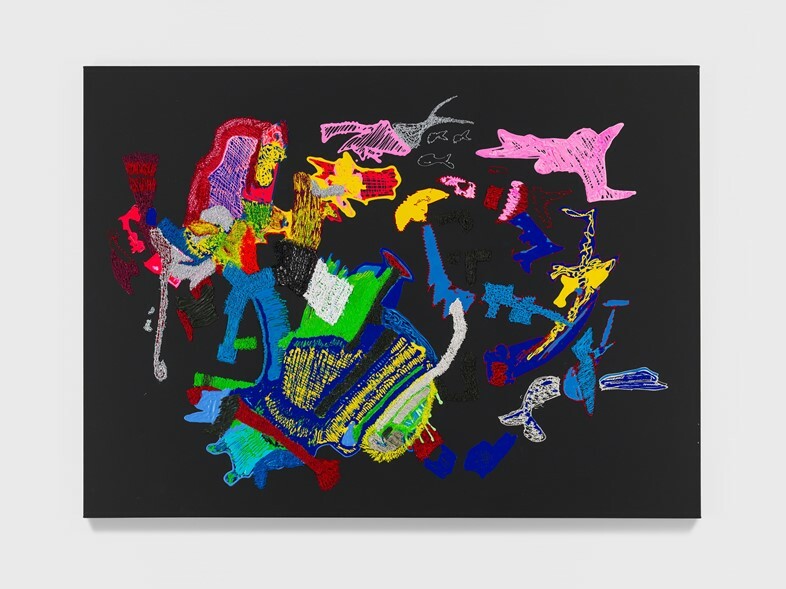 These works are currently on show in an exhibition entitled Wormhole at London’s Simon Lee gallery, Kimmel’s first in the UK and the follow-up to her solo gallery debut in Brooklyn earlier this year. Many heralded this as her “reinvention” – under her maiden name, Leelee Sobieski, the artist is better known as an actor who landed a role in Stanley Kubrick’s Eyes Wide Shut before she’d even turned 14. She officially left the silver screen behind in 2012, focusing on family and painting, though art is hardly a new whim for Kimmel. “I’ve been doing this for my whole life, pretty much,” she says. “I always acted to be able to afford paints. It might sound really weird, but that’s what happened – the cards were just dealt to me that way. But acting was never my passion, unless I was working with someone really interesting and smart.” Here, we discuss space, freedom, and the “gross” sides of Hollywood. “I have no sense of space in real life, and I think my paintings and the sculptures and the VR help me ground myself. Some people get nauseous in VR or feel uncomfortable after a while as there’s no top and bottom or left and right – it’s in infinity – so when I put it on I realised, ‘this is how I see!’ I felt so comfortable I wanted to stay in there, I love reality and I don’t want to leave it, but I feel really safe in VR. “A lot of the time when you work, it’s a money project basically. I started paying the rent on our house when I was 15, so I had a lot of pressure and things got complicated for me… So when I could, I stopped. It’s kind of a gross industry – well, they all are, when you examine them – but in acting you’re selling your appearance so much. I would cry every time I had to kiss somebody; I couldn’t stomach it. I would think ‘I like this person, so I don’t think they should pay me to kiss them,’ or ‘I don’t like this person, so I don’t want to kiss them’. Why is my kiss for sale?’ It made me feel really cheap. 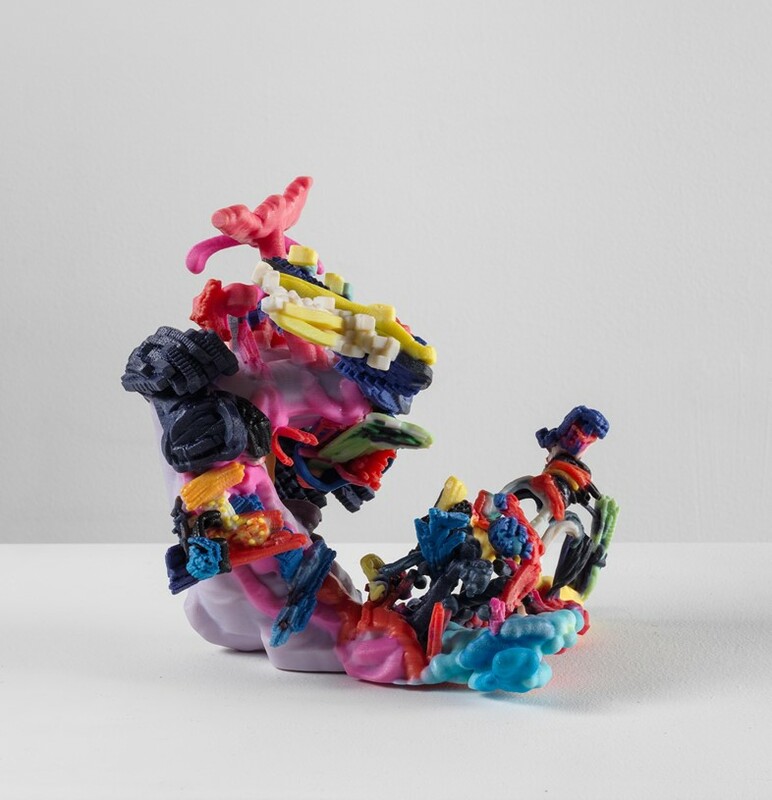 Leelee Kimmel: Wormhole runs until August 30, 2018, at Simon Lee Gallery, London.